Do you have a stack of Qantas points that you’d like to share with your family, but you’re unsure how to do so? Good news – you can transfer Qantas points to eligible family members at the click of a button! Read on to find out everything you need to know about the Qantas Frequent Flyer points transfers and family pooling. 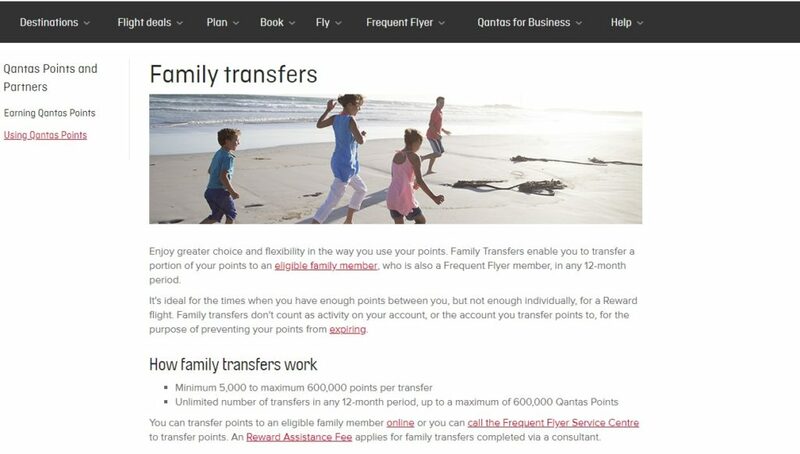 Qantas points transfer is a way for Qantas Frequent Flyer members to share points with eligible family members. Similar to Virgin Australia’s Velocity family pooling, Qantas points transfers allow eligible family members to transfer points between accounts instantly. It’s a handy option to take advantage of if you don’t see yourself using your points in the future and your Qantas points are due to expire soon. Perhaps you want to send your points to someone else so they can redeem a flight, or maybe your aim is to pool your hard earned points in the account of a family member for an upcoming holiday? Either way, transferring Qantas points to a family member could be an attractive option. It’s an easy process to transfer Qantas points online. Simply navigate to the Qantas website and log in to your Qantas Frequent Flyer account. Once you’re logged in, toggle to the ‘Frequent Flyer’ menu option at the top of the page. A sub menu will open up, and you’ll find the ‘Transfer Points’ option listed under the menu option ‘Your Account’. Clicking on the link will take you to a page with information about Qantas Family Transfers. 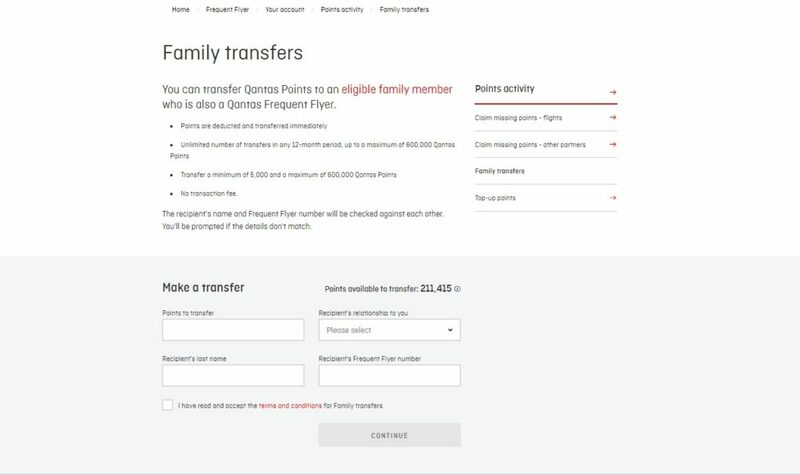 A link to a form that will allow you to transfer Qantas points to a family member can be found at the bottom of this screen. You’ll be prompted to enter the number of points to transfer, the recipient’s last name, their relationship to you and their Qantas Frequent Flyer number. Enter this information and accept the terms and conditions to proceed. The recipient’s name and Qantas Frequent Flyer number will be checked against each other once you submit the form. You’ll be prompted if the details don’t match. Qantas uses two step authentication for some transfers, so have your mobile phone at hand in the event that you need to input an SMS code. It’s important to note that Qantas points transfers cannot be reversed or cancelled, so check the transfer carefully before you proceed! Which family members can I transfer Qantas points to? It’s important to note that Qantas enforces the eligible family member rule quite strictly, and there have been reported cases where Qantas has suspended or closed accounts that have transferred to non qualifying recipients. While it doesn’t happen regularly, Qantas may ask you to provide proof of your relationship with a nominated eligible family member. 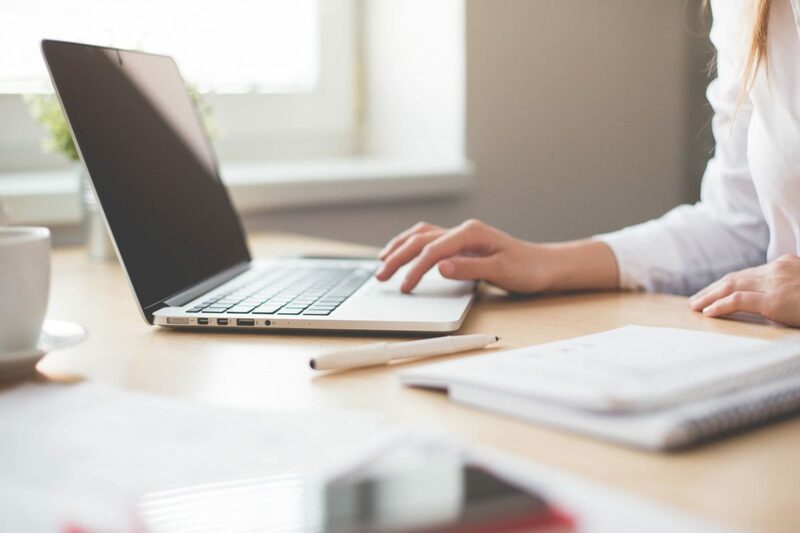 If this happens, you may be asked to provide documentation (such as a statutory declaration) that proves your relationship with the points recipient. 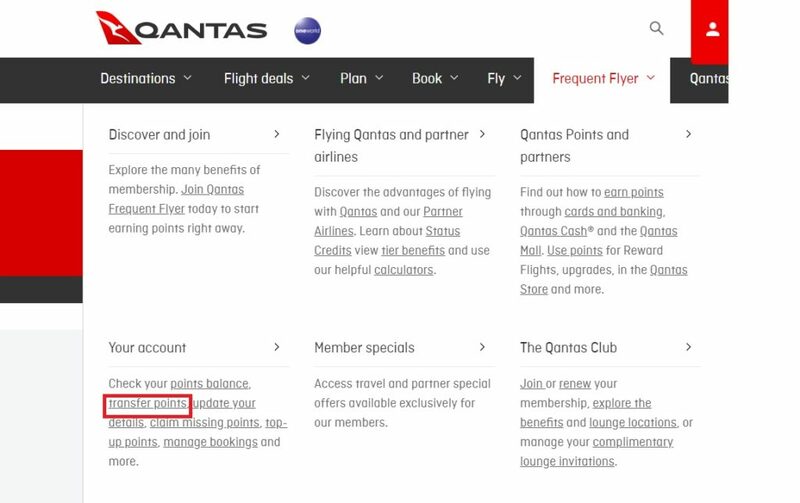 If you have a family member you’d like to transfer Qantas points to, but they are not a member of Qantas Frequent Flyer, you’ll be pleased to know that it is easy for them to join for free. We round up a list of free Qantas Frequent Flyer join codes here. Are there limitations around the number of Qantas points can I transfer to a family member? You can make an unlimited number of Qantas points transfers in any 12 month period. However, a maximum of 600,000 Qantas Points per 12 month period is allowed. The transfer needs to be a minimum of 5,000 points. Does it cost anything to transfer Qantas points? There is no transaction fee for undertaking a Qantas Family Transfer online. However, you can opt to transfer Qantas points via the Frequent Flyer Service Centre at a fee. You’ll need to contact the Frequent Flyer Service Centre on 13 11 31 to complete the transfer. Note that there is a $35 Award Assistance fee for transfers made through the Frequent Flyer Service Centre. To avoid this fee, always transfer points online. How long do Qantas Family Transfer points take to post in my account? The Qantas website states that points are deducted and transferred immediately. Speaking from personal experience, I generally find that Qantas family transfer points show up in the recipient’s account within 5 to 10 minutes. Will a Family Transfer stop Qantas points from expiring? Sadly, no. If you’re looking at the Qantas Family Transfer option as a way to extend your points validity or the validity of points in the nominated family member’s account, you’re out of luck. Qantas Family Transfers are not classified as eligible activity to stop your Qantas Points from expiring. Points that are transferred to a family member will be subject to the points expiry date that currently applies to the receiving family member’s Qantas Frequent Flyer account. Let’s say, for example, that you transfer points to your son’s account in early January. at the time of the transfer, your son’s account has not had any qualifying activity for 17 months. In this scenario, all points, including those that were transferred in early January, would expire the next month. Fortunately, there are many ways to stop Qantas points from expiring. Are there other ways to share points with family members? Absolutely. There are a number of other ways that you can share your points with family members. These include booking reward flights outright (consider treating mum to first class), nominating your family member for an upgrade, or shopping for them at the Qantas Store.